Hi. Thank you for the article. Are there any already prepared Docker images to use? I need to install this tool for mine Kubernetes cluster. Not currently, the docker containers provided here are for demonstration purposes and may need some further work before being production ready. 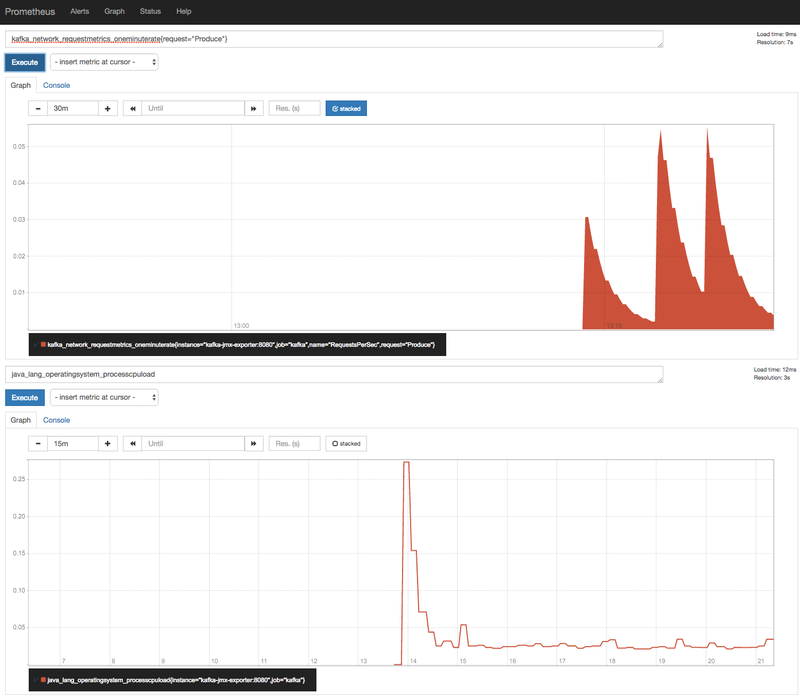 Feel free to extend/upload to DockerHub if required. I’m trying to set the described configurations. Can you please detail how to start the JMX exporter. “java -javaagent:target/jmx_prometheus_javaagent-0.8-SNAPSHOT-jar-with-dependencies.jar=1234:config.yaml -jar yourJar.jar” but what I miss is what’s the yourJar.jar. Did you set in the same way or in some other way? The method you described is when you want to run the jmx exporter in the same JVM that your target process is running in. 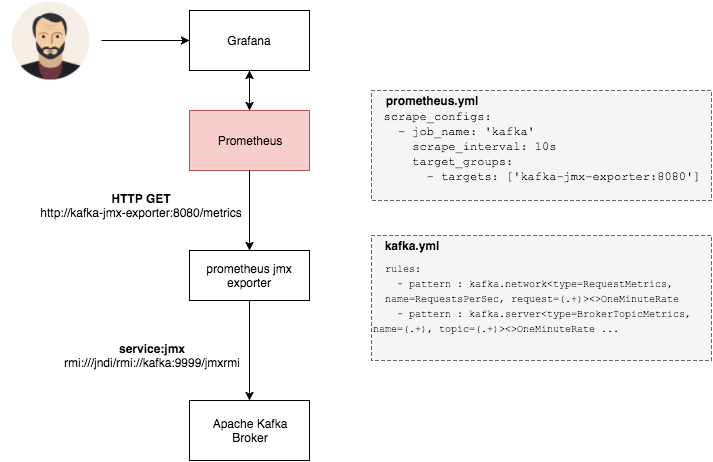 The github page https://github.com/prometheus/jmx_exporter describes both methods, as I did not want to modify the kafka distribution to include the agent I opted to have them decoupled and went for the approach of running it as a separate http service (see https://github.com/prometheus/jmx_exporter/blob/master/run_sample_httpserver.sh). 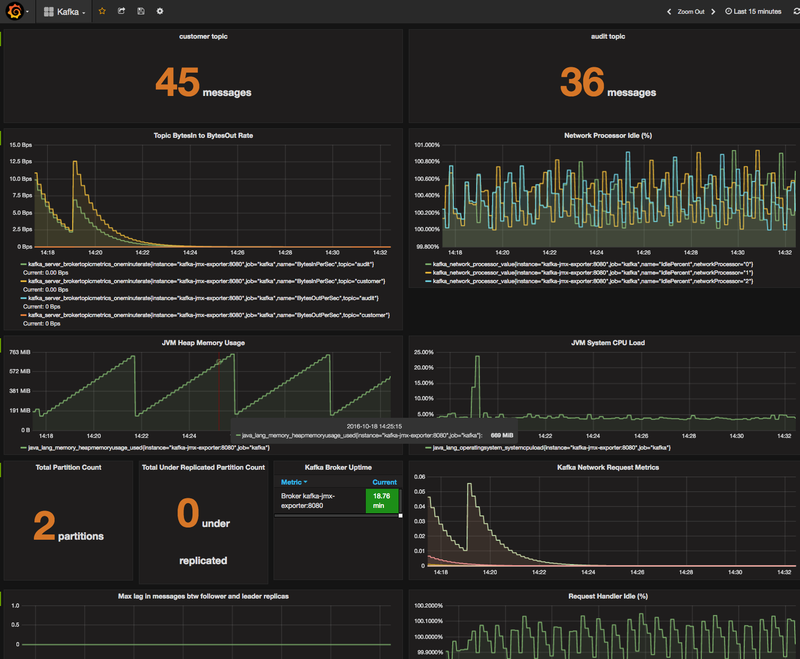 Can I change the config to include more metrics as this is a cut-down version of the available Kafka metrics? PRs are accepted and greatly appreciated, if you still want to make the changes you can fork the repository and raise a PR. I can then approve/merge.